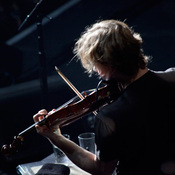 Sting.com > News > Sting Back To Bass European Tour 2012 - Third and Final Concert in London! 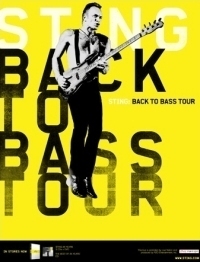 Following the immediate sell-out of Sting's second Back to Bass concert at the Hammersmith Apollo in London, a third and final performance has been added for March 21! Tickets are on sale now. Sting.com Fan Club members will have the opportunity to purchase tickets from a separate allocation beginning Tuesday, November 29 at 11AM (local time). Please note, members will have to be logged in to the website and access the fan club sale using the link that will appear on the Tour Page. DO NOT go direct to the Ticketmaster page because the main Ticketmaster page for this show will not provide access to the fan club ticket allocation. No, all paid members will be able to access the postsale for this show from 11am. There is no separate legacy presale for this show. No legacy presale an hour before? Of course. Just like the other shows. Hello, tickets from separated allocation reserved to sting.com members will be available also for stalls seating section?